In 1985, Peter Palumbo visited Fallingwater for the first time. During that visit, he was told about the only other home in Pennsylvania designed by Frank Lloyd Wright located six miles away, and which happened to be for sale. He went to see the home, fell in love with it, and purchased it a mere six weeks later. 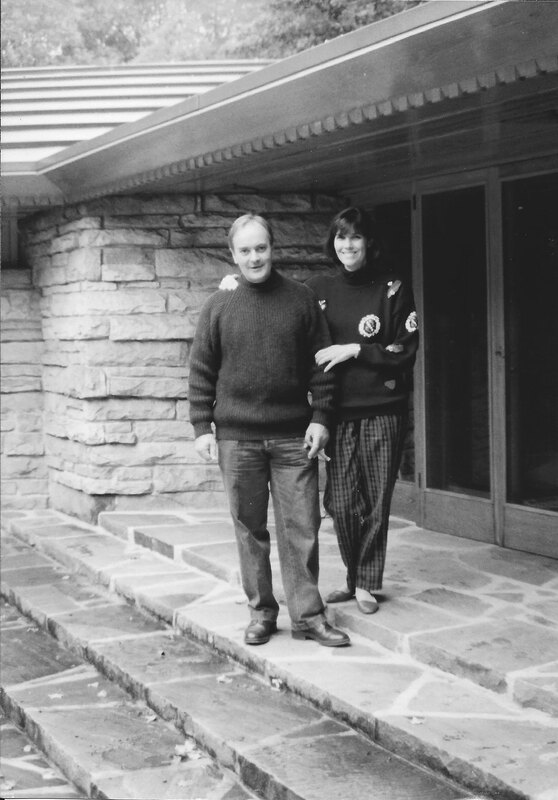 He married his wife Hayat, in 1986, and they have spent time at Kentuck Knob every year since. Peter Palumbo had long been fascinated by the work, as well as the life and times, of Frank Lloyd Wright. Whilst Fallingwater was obviously a major focus of national and international attention, visitors to Kentuck Knob found the smaller, domestic scale of that home of particular interest in view of the fact that it was eminently and immediately habitable. The Palumbos have filled the home and grounds with their collection of art which is on display for visitors and includes artifacts from all over the world.